"A Tradition of Fun Since 1898,” Camp Greenbrier has been owned and operated by the same family for three generations. Greenbrier is a traditional summer camp in the truest sense of the word. Come join the fun! Camp Greenbrier is a summer camp for boys nestled in the Allegheny Mountains, on the beautiful Greenbrier River in Alderson, West Virginia. It was founded in 1898 and is the oldest, privately owned summer camp in continuous operation in the United States. 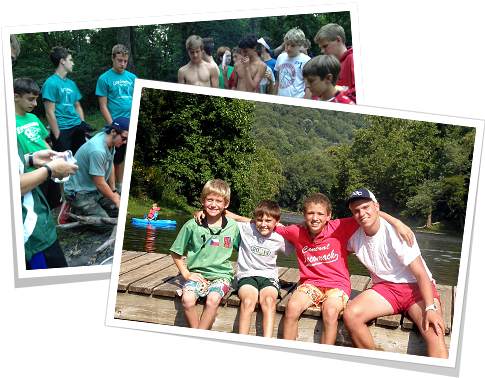 Camp Greenbrier operates three programs: the Boys Camp for boys from 7 to 15 years old - the Leadership Academy for young men who are 16 or 17 years old, or who have finished the 10th grade - and House Party, our family camp for everyone. Campers and staff come from throughout the United States and from across the world to enjoy our wonderful climate and to make friendships that will last a lifetime.